(TibetanReview.net, Apr05’19) – In order to boost tourism in remoted western Tibet’s Ngari (Chinese: Ali) Prefectures, home to the sacred Mt Kailash (Tibetan: Ghang Rinpoche or Ghang Tise), China is looking to upgrade its fairly recently built Gunsa Airport there to an international one. 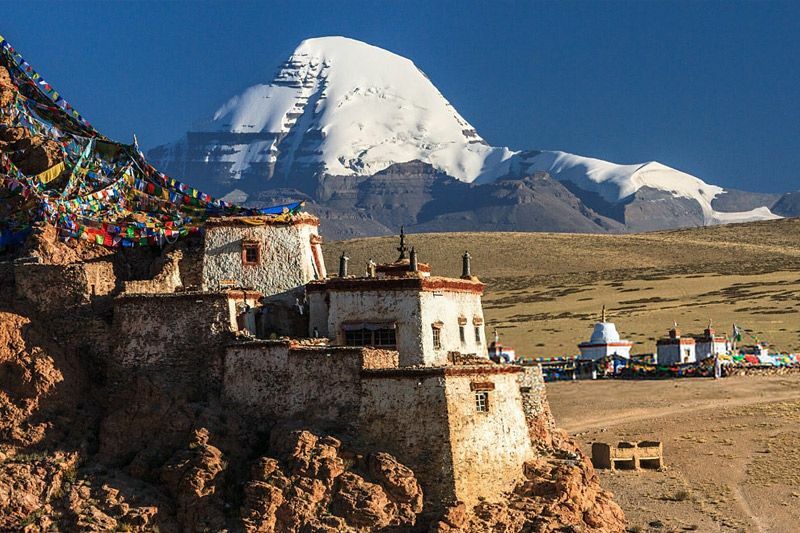 The airport, located 40 km from Ali town, is 200 km from Mount Kailash and Mansarovar Lake that is visited by thousands of Indians during an annual pilgrimage from July to September. Timesofindia.com Apr 3 described Ge as Deputy Commissioner of TAR. Chinese officials in Tibet were stated to have spoken about the plan and related matters on the sidelines of an event. It was not clear from the above two reports what that event was and indeed where it was held. Referring to demands from the pilgrim to be allowed to take a dip in Mansarovar Lake, Li Bijian, deputy chief of mission at the Chinese embassy, apparently in New Delhi, has said this wasn’t allowed because of the Chinese government’s efforts to preserve and protect the fragile eco-system in the area. The report also cited Baimanyangzong, director general of the Foreign Affairs Office of TAR, as highlighting the Chinese government’s efforts to improve infrastructure to facilitate the pilgrims. Indian pilgrims currently undertake cross-border walk through two routes: the more arduous old one via Lipulekh pass in Uttarakhand and the recently opened relatively convenient one via Nathu-la in Sikkim.